This is the beginning of sock 3.1. Well on my way to six pairs in 2015. Love them! 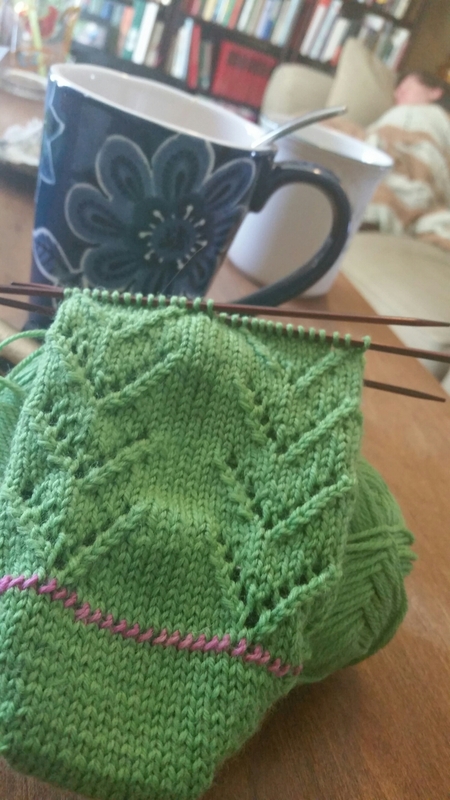 I just started learning how to knit socks but I am struggling with gauge. Unless I am knitting for the NBA I am doing something wrong. How do you determine your measurements? I had several false starts in the gauge department too. 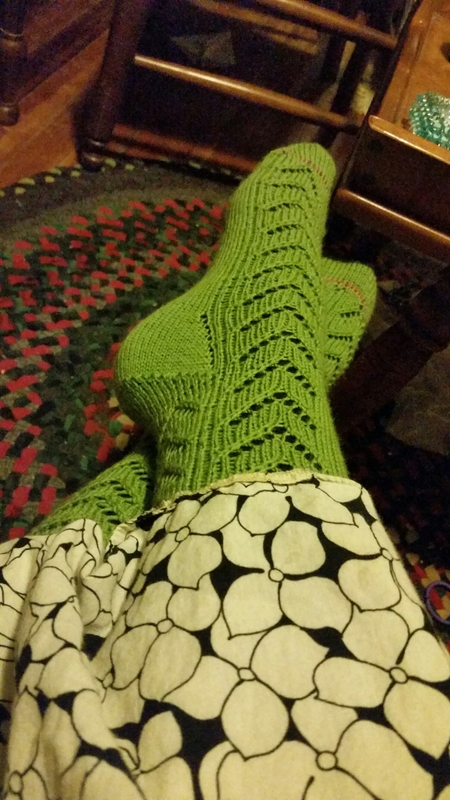 After a few tries, I found Socks From the Toe Up by Wendy D. Johnson. The instructions for measuring are great! She recommends measuring around the ball of the foot and then taking off 10%. 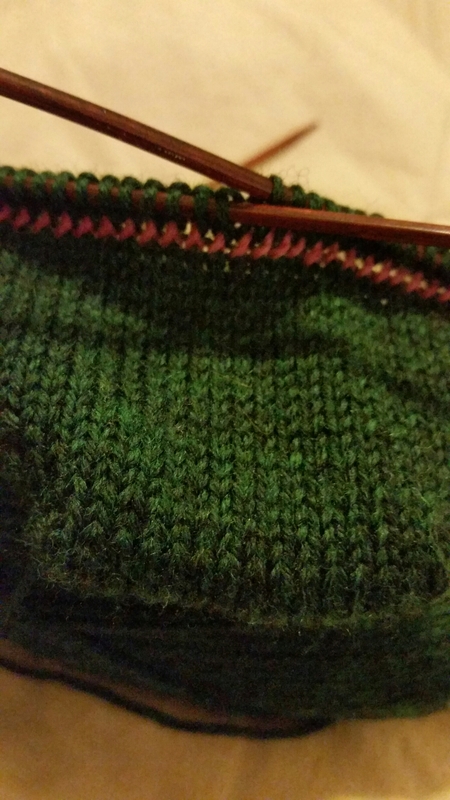 Knit a quick swatch and you have a good idea of how many total stitches you’ll need. Now I know that with size 2 needles and sock yarn, I need 56 sts. For my sweetheart, I need 72. Easy!